Lichfield & Tamworth Joint Waste Service have begun taking delivery of a replacement fleet of 22 new vehicles that will start collecting recycling and waste from 76,000 homes across Lichfield District and Tamworth Borough. The delivery of the vehicles has followed a competitive tendering process, which saw Specialist Fleet Services Ltd (SFS) chosen as the service’s vehicle provider. This is a new customer for SFS and the contract includes the maintenance of the vehicles via Lichfield District Council’s existing workshop facilities. 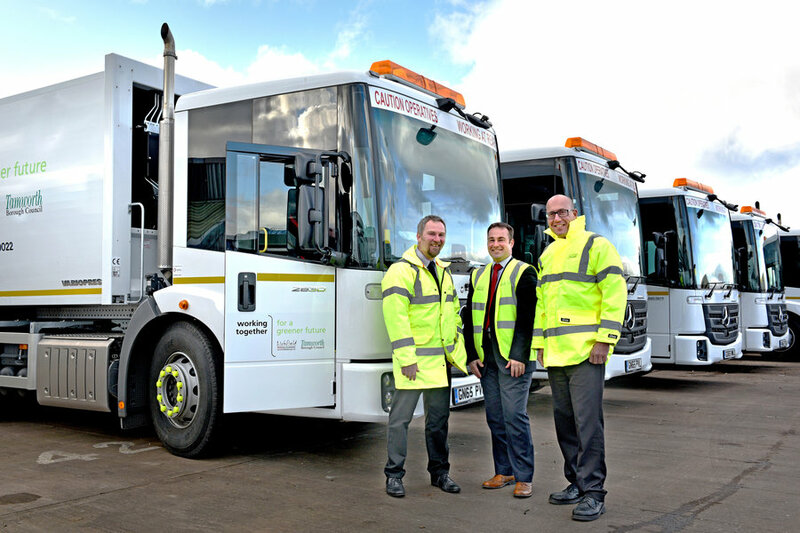 The six-year contract hire agreement commences this month, with the option to extend for an additional six years, and involves the provision of 22 vehicles for the councils’ shared Joint Waste Service’s refuse, recycling and street cleansing fleet. The new vehicles comprise 18 x 26- tonne Mercedes/Faun Refuse Collection Vehicles (RCV), three DAF/NTM and one Mitsubishi/Faun 7.5 RCV. Northampton-based SFS has over 20 years experience in delivering successful contract hire, fleet and workshop management solutions to the public and private sector. Within day one of the start of the contract SFS had already established on-site capacity at Lichfield, with the delivery of 16 new RCV’s, and the workshops cleaned, repainted and new equipment installed. The remaining six vehicles will be delivered over the course of the next few months.